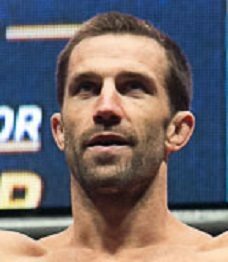 Luke Skyler Rockhold is an American mixed martial artist born on the 17th of October 198. He is the former UFC and Strikeforce middleweight champion. 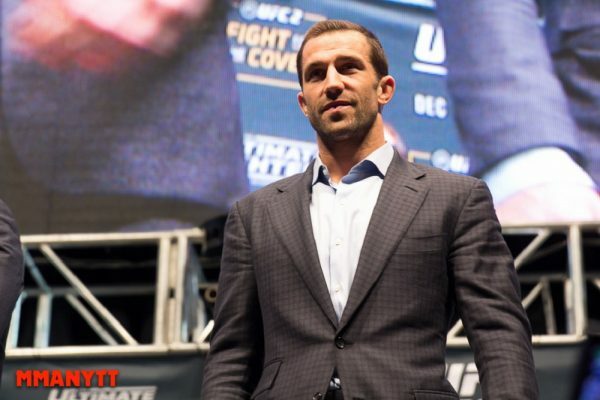 Rockhold grew up in Santa Cruz, California in a athletic family. His older brother Matt is a professional surfer and his father was a professional basketball player in Europe. When Luke was 6 years old he started training in Judo, but quit when he turned 10. In the 7th grade he joined the school’s wrestling team while also taking BJJ classes. In 2006 he joined American Kickboxing Academy (AKA) in San Jose, California. Head coach Javier Mendez saw a future champion in Rockhold. Luke Rockhold made his pro MMA debut at Melee on the Mountain in 2007. He dominated the fight and won by armbar in the middle of the first round. He lost his next fight by TKO against Tony Rubalcava. After losing to Rubacalva, Rockhold made his Strikeforce debut. 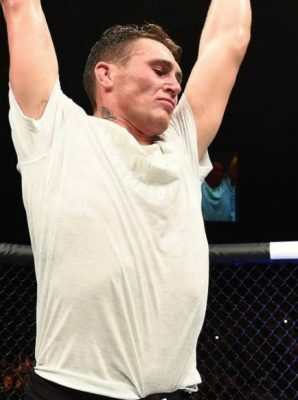 He won his first six fights by stoppage in the first round (5 submissions, 1 KO). He got a chance to fight the Strikeforce middleweight champion Ronaldo “Jacare “Souza. The two met at Strikeforce – Barnett vs. Kharitonov. The fight was very close and Rockhold edged out the decision. Luke Rockhold defended his title twice against Tim Kennedy and “The Dean of Mean” Keith Jardine. Luke Rockhold made his UFC debut on May 18th 2013 against Vitor “The Phenom” Belfort. Belfort knocked Rockhold out in devastating fashion by a spinning heel kick and following punches. Rockhold rebounded and won four straight fights against top competition such as Michael “The Count” Bisping and Lyoto “The Dragon” Machida. With the winstreak, Luke Rockhold got a chance to face UFC middleweight champion Chris “All American” Weidman. Weidman attempted a spinning wheel kick in the 3rd round which turned the tide of the fight, Rockhold took him down and landed some vicious ground-and-pound. In the 4th round Rockhold took Weidman down and stopped him by TKO (strikes). Luke Rockhold lost his firs title defense against current champion Michael Bisping at UFC 199 – Rockhold vs. Bisping 2. Rockhold lost by TKO in the first round. Luke Rockhold is expected to face David Branch on September 16, 2017 at UFC Fight Night 116.